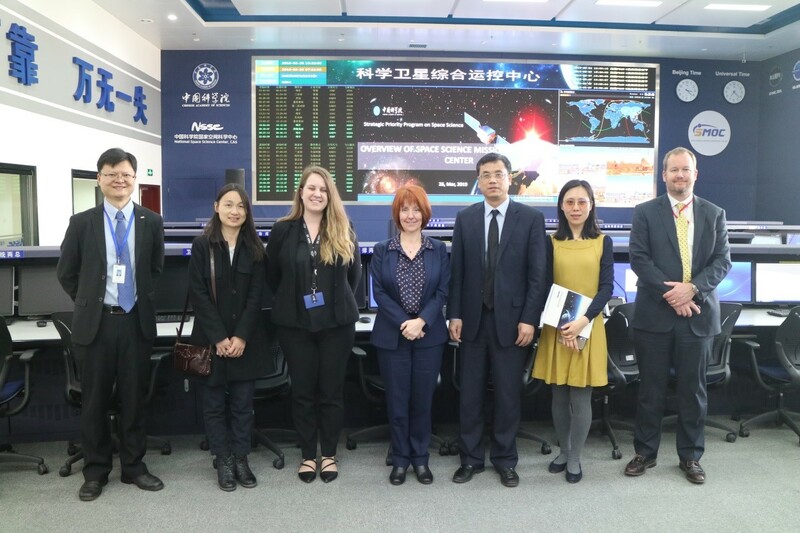 On March 26, 2019, Prof. Carole Mundell, the Chief Scientific Advisor (CSA) of Foreign and Commonwealth Office, UK, paid an official visit to National Space Science Center, Chinese Academy of Sciences. Prof. WANG Chi, the Director General of NSSC, met with Prof. Mundell and introduced briefly of the Solar wind Magnetosphere Ionosphere Link Explorer mission, or SMILE, upon the technical visit to the institute facilities including Low Energy Ion and Electron Calibration System and the Space Science Mission Hall. 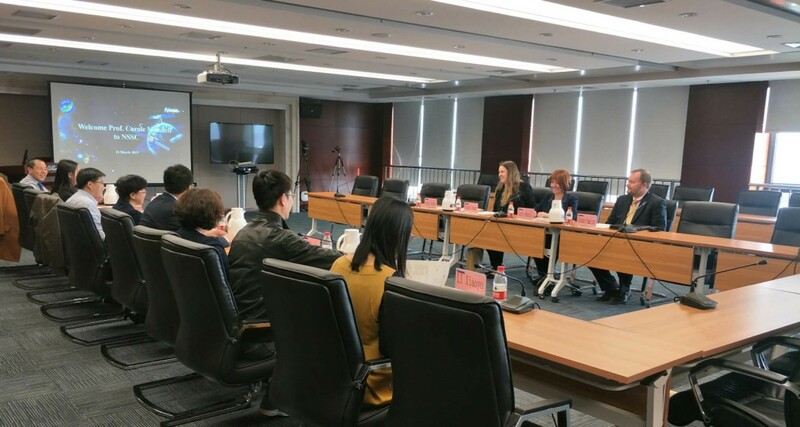 A meeting was arranged where Prof. LI Jing, the SMILE Mission Manager on the Chinese side, presented in detail the mission in terms of scientific objectives, payloads, launch vehicle etc. He also explained the cooperation and the distribution of labor among the international partners. Prof. Mundell expressed her impressiveness on the SMILE mission where the UK partnership is involved and hoped both parties can continue to do exciting missions at the senior agency level. In the end, she wished the very best for the mission. The relevant SMILE team members took part in the meeting including the management team, the science and engineering team, the payloads team etc. The SMILE mission a China-ESA joint mission, which was selected jointly in 2015 following a bottom up approach. SMILE aims to study the interaction between the solar wind and the Earth magnetosphere, and is expected to get an overall image of interaction between solar wind and magnetosphere for the first time, by using the Soft X-ray Imager (SXI) and Ultra-Violet Imager (UVI), and MAGnetometer(MAG) and Light Ion Analyzer(LIA). The mission will be launched in 2023 and will be operated in orbit for 3 years.